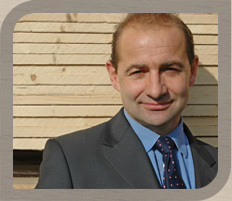 Stockwell Forest Products Ltd was incorporated in September 2001 by Charlie Stockwell. The origins of the business stem from D N Green & Co (Timber) Ltd, ran by Rupert Green. Rupert was planning new ventures abroad, so Charlie took over the Softwood business from D N Green'; hence the original trading title of "Stockwell & Green". Rupert and Charlie worked alongside one another, combining their in-depth knowledge of the Sotfwood trade for six months before Rupert departed with his family for a period in North America. Charlie brought with him from his past experience of running the family business, Stockwell's Ltd (previously G C Stockwell (Hardwoods) Ltd) his sister, Alex Nicholls, who looks after the ledgers and accounts from her Basingstoke office. Following the demise of Sir William Burnett in 2005, Charlie then recruited Vernon Bright with his wealth of experience of the packing case industry. SFP now offers the perfect quality solution for the supply to the export case and timber packaging industries. It is committed to providing the best possible quality at an affordable price level. We at SFP, are conscientious of the fact that value for money is governed by minimising waste that can be created by poorer condition timber and an inefficient length criteria. With Charlie's experience of procurement, we endeavour to source the 'best fit' for the needs of our customer base. We provide anything form the odd pack to full load from the docks at Rochester, Kent. Combining with the dedicated skills of our haulier, Clark Freight; Alby Clark will be able to deliver anywhere in and around the London / M25 area, normally within 24/48 hours. 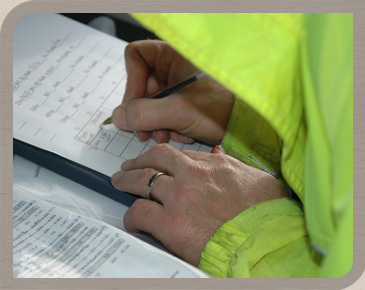 Loads or part loads to other regions of the UK are regularly organised. Our stock covers all regular requirements and a few 'specials'. If you have a regular need of non core sizes (planed or sawn) do not hesitate to enquire as we are able to source any demand in pack (or more) volumes from our range of suppliers. As members of the Timber Trade Federation and Timcon, we are proud of our professional and honest approach. We know that customers' have a choice of suppliers. We offer a transparent and genuine option that gives a high level of integrity coupled with a smile!